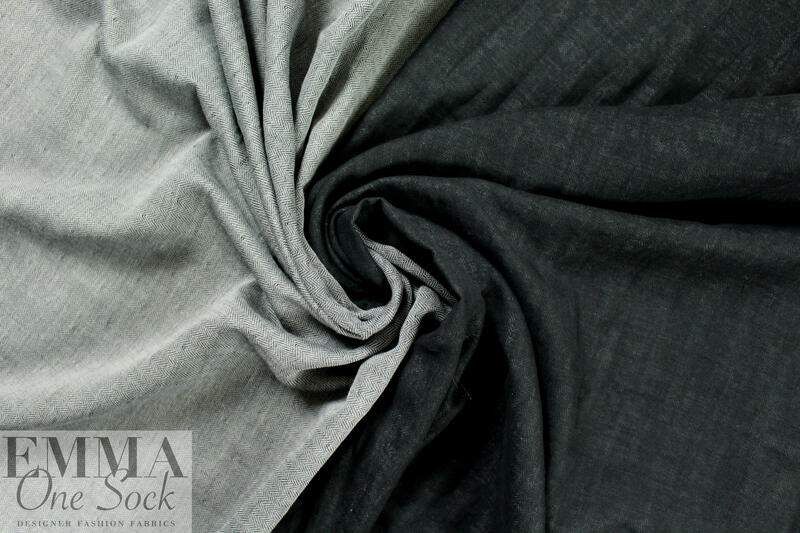 From Japan, this is a wonderful two-ply, yarn-dyed reversible cotton herringbone woven with a gray and white mini-herringbone weave on one side and a soft, solid off black on the other. 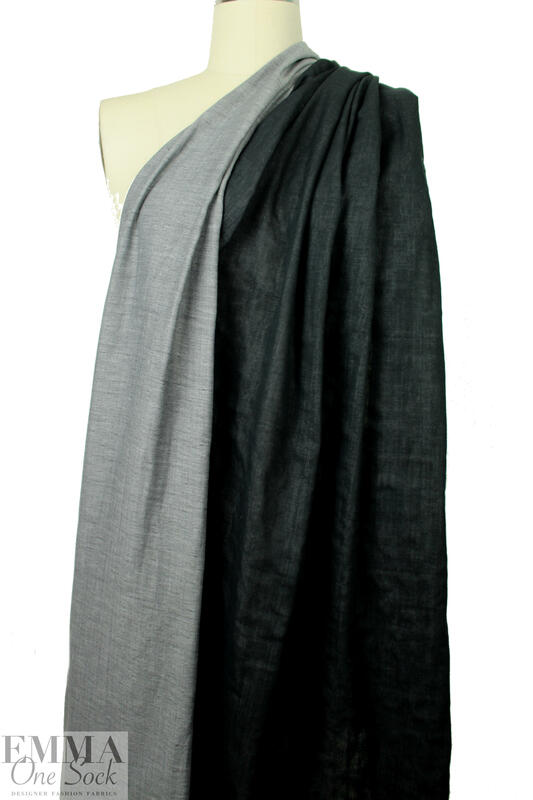 The two layers are loosely stitched together, giving the fabric a soft and airy weightlessness. 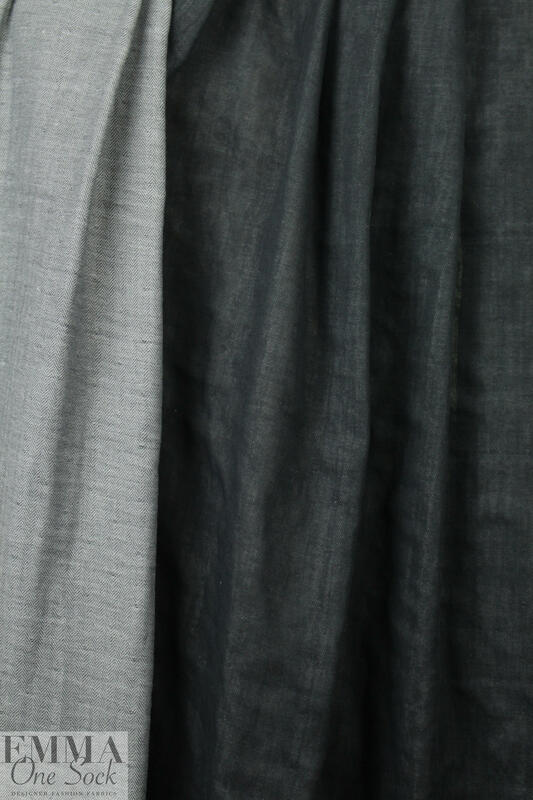 It's lightweight and semi-opaque, with a soft and cottony drape that has a bit of body. 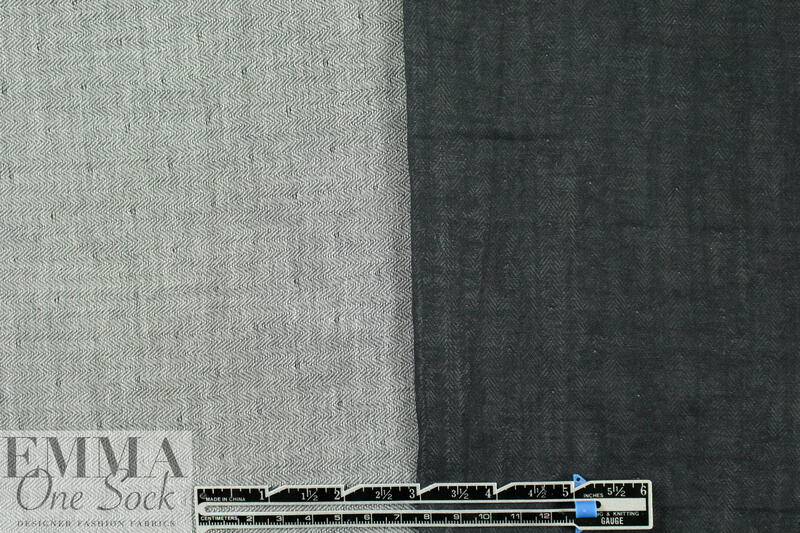 It is perfect for casual tops, tunics, blouses and shirts, etc. Hand wash cold, hang or lay flat to dry (please test first! ).